Ghana, aside her unstable economic situation, has two major problems and these are musician Diamond Appiah and TV/Radio personality, Afia Schwarzenegger, who are constantly on each other’s throats for reasons best known to them. Diamond Appiah, the UFP Parliamentary candidate for Trobu-Amasaman, has of late ascended the ‘dissing’ throne to become Bishop Daniel Obinim’s social media spokesperson, insulting anyone who says something negative about the Diabolo man. Many Ghanaians have wondered the relationship that exist between the musician-turned politician and the greatest man of God of our time. This, the ringleader of Loudmouth Women’s Association (LoWA), Afia Schwarzenegger, says Diamond Appiah always defend Bishop Obinim because the Bishop is a premium costumer and heavy user of her bleaching creams – Diamond Whitening Night Cream, Diamond Natural Glow Day Cream, and Diamond Skin Perfector. 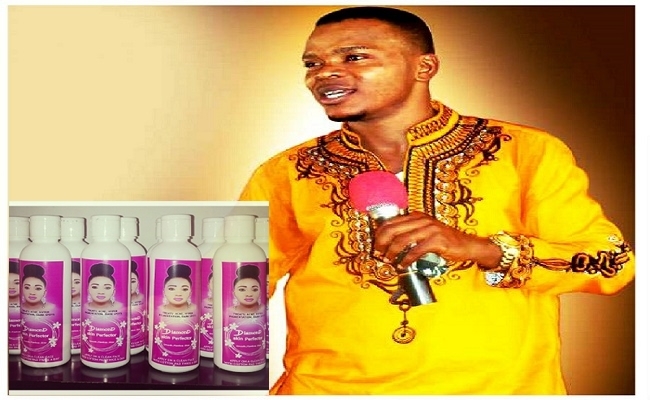 According to Afia Schwarzenegger, Bishop Obinim is more than a wholesaler; buying Diamond’s bleaching products in bulk. The ‘Kokooko’ host asserted that the transformer has about 20 shipping containers of Diamond’s products in stock which he uses daily to perfect his skin.